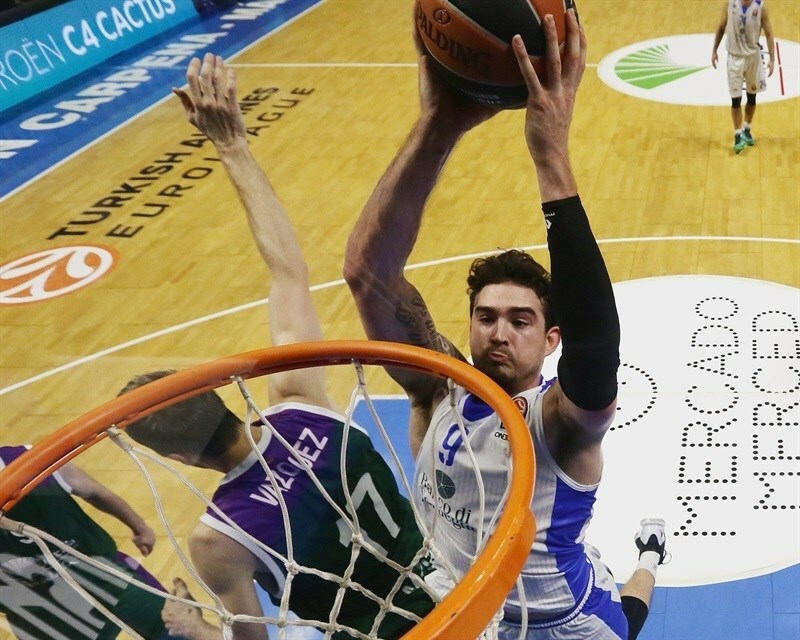 Unicaja Malaga remained undefeated by rallying past Dinamo Banco di Sardegna Sassari 80-62 at home in Group D on Friday. Unicaja improved to 4-0 and is tied for first place with CSKA Moscow; the two teams face off in the Russian capital next week. 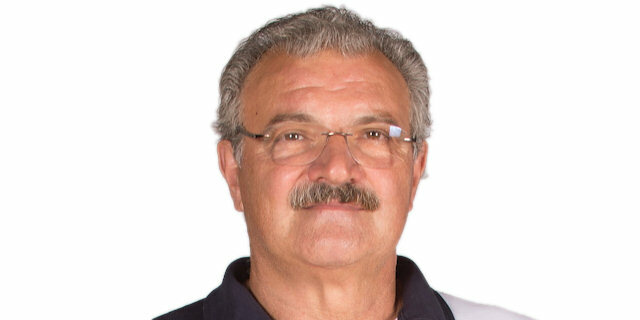 Sassari dropped to 0-4. 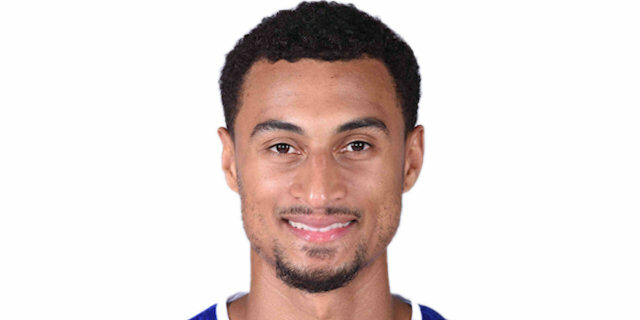 Richard Hendrix led the winners with 19 points, Will Thomas added 14, Edwin Jackson scored 11 and Dani Diez 10 for Unicaja. 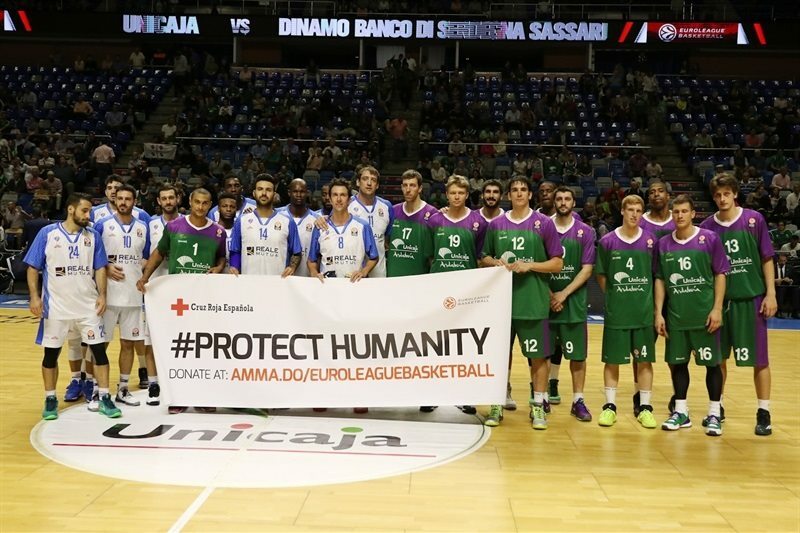 MarQuez Haynes led Sassari with 18 points and Rok Stipcevic added 12 for the guests. Jackson took over early and got help from Mindaugas Kuzminskas to get an early 12-5 lead, enough for the hosts to keep a 20-16 edge after 10 minutes. Haynes struck three times from downtown for a 24-29 turnaround. 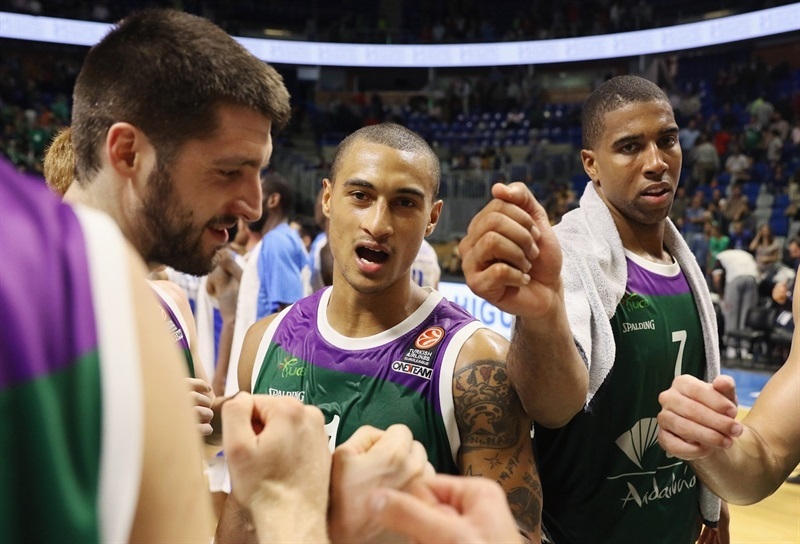 Unicaja still trailed 31-37 near halftime, but Will Thomas and Richard Hendrix rescued the hosts, fueling a mammoth 24-0 run that changed the game for good. Sassari tried to change things but Unicaja remained in charge until the final buzzer. Jackson got Unicaja going with a second-chance layup, which David Logan bettered with an unbelievable bomb from downtown. 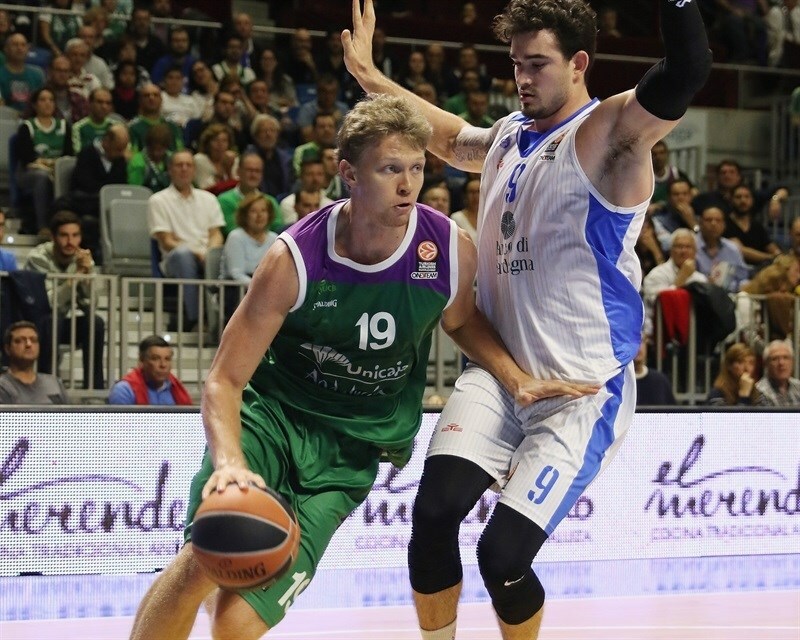 Jackson kept pacing Unicaja with a backdoor layup and a corner three-pointer by Kuzminskas gave the hosts a 7-3 lead. After Kuzminskas made free throws, Brent Petway found space for an uncontested layup. A big three-pointer by Jackson boosted Unicaja's margin to 12-5. Petway answered from downtown off a timeout. A red-hot Jackson sank foul shots, but a mid-range jumper by Haynes kept Sassari within 14-10. Kuzminskas scored of a spin move in the low post, but Rok Stipcevic did better with a bomb from downtown. Sassari entered the foul penalty, which allowed Unicaja to attack the basket. Kuzminskas and Jamar Smith split foul attempts for an 18-13 Unicaja lead. Fran Vazquez hit a five-meter jumper from the top of the key before a buzzer-beating triple by Giacomo DeVecchi kept the visitors within 20-16 after 10 minutes. 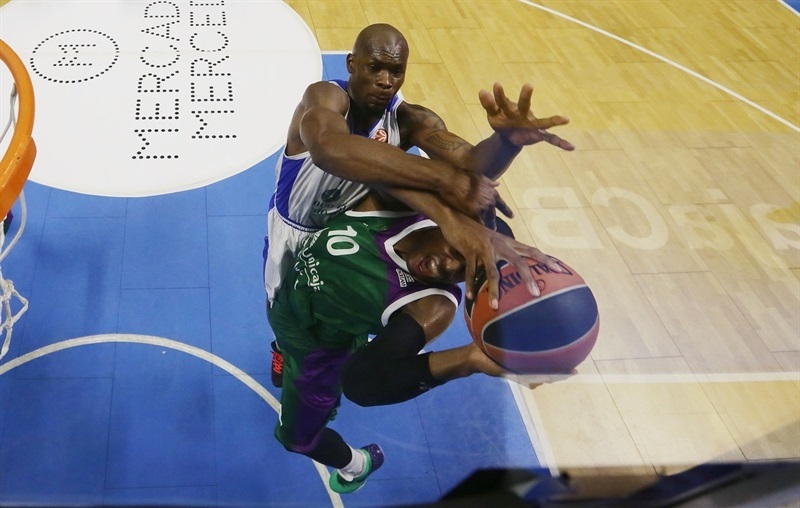 Jarvis Varnado buried a turnaround jumper early in the quarter, but Vazquez copied him at the other end for a 22-18 Unicaja lead. 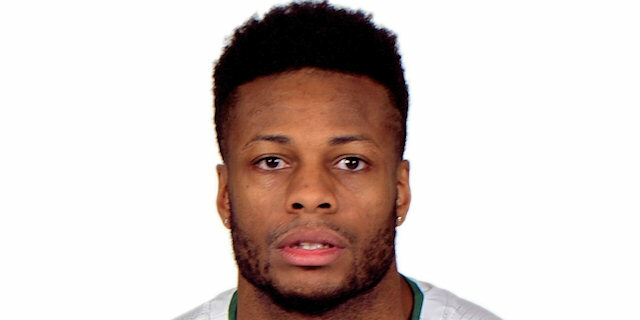 Haynes took over with back-to-back three-pointers to put Sassari back in charge. Petway took over with an alley-oop layup before Thomas scored down low. A wild catch-and-shoot triple by Haynes caused Unicaja to call timeout at 24-29. 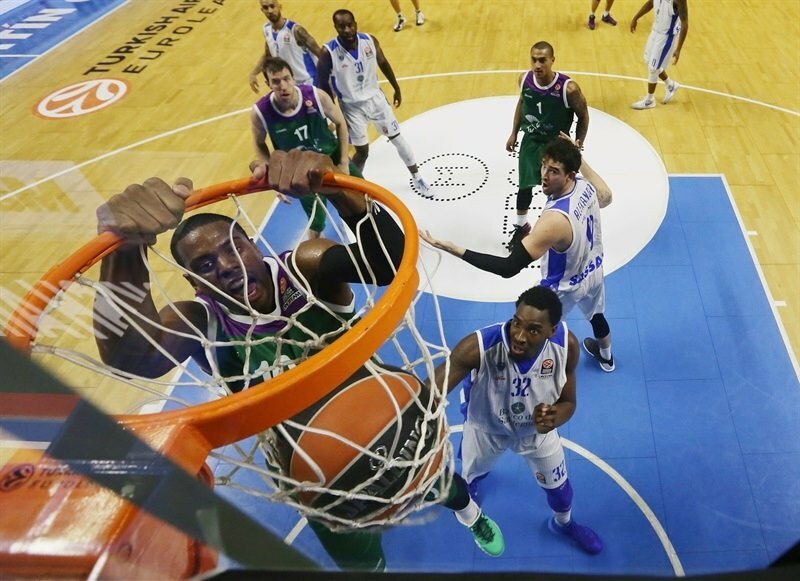 Joe Alexander hit foul shots, but a two-handed slam by Thomas kept Unicaja within 26-31. Logan shined with a one-handed floater in the lane, which Hendrix matched with a second-chance basket. A three-pointer by Dani Diez got the crowd involved at 31-33. 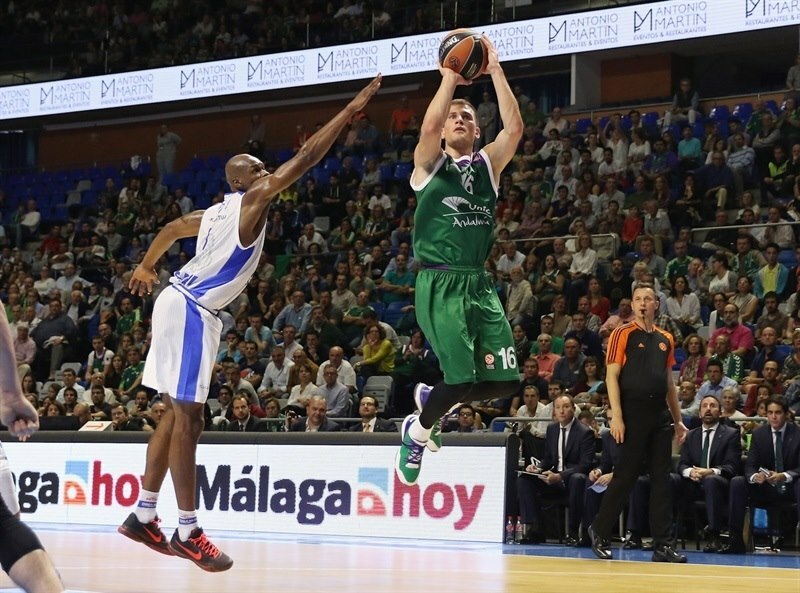 Logan made free throws, as Unicaja kept having trouble organizing its offense. Alexander nailed a jumper of the dribble, but Hendrix did even better with a layup-plus-foul for a 34-37 score. Free throws by Thomas brought the hosts within 36-37 at halftime. Thomas followed free throws with a dunk to put Unicaja back ahead, 40-37, right after the break. 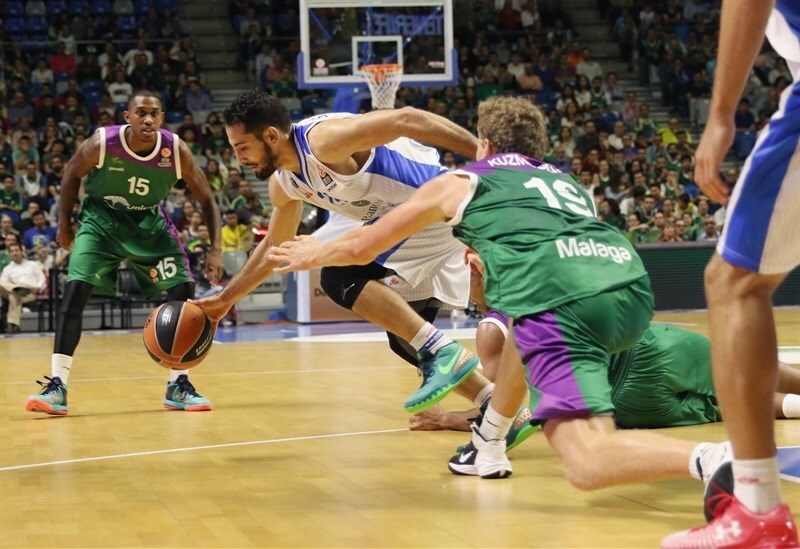 Unicaja played with more intensity at both ends. Thomas split free throws and a wild three-point play by Vazquez boosted the hosts' lead. Jackson scored around the basket and Hendrix added a layup to make it a double-digit game, resulting in Coach Romeo Sacchetti calling timeout. 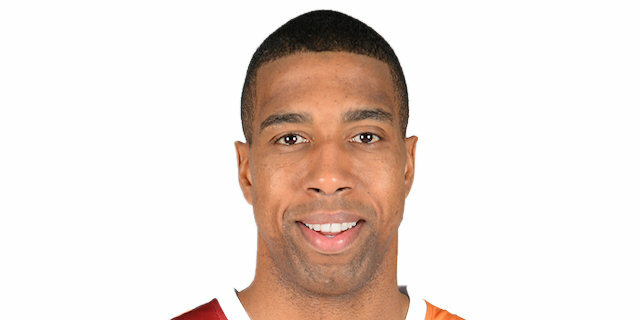 Jackson downed a jumper, as Sassari kept struggling to score. A three-pointer by Suarez boosted Unicaja's margin to 16. Hendrix finished a great team play with a fast break basket that ignited the crowd at 55-37, capping a mammoth 24-0 run. Sassari missed 11 consecutive shots and committed 4 turnovers until Haynes made free throws. Haynes returned to the line to hit 2 more and exchanged three-pointers with Smith for a 58-44 score. A jumper by Hendrix gave Unicaja a 60-44 margin. Stipcevic buried a three-pointer early in the quarter, but Diez quickly answered from downtown and soon added a fast break layup off a steal to seal the outcome at 65-47. 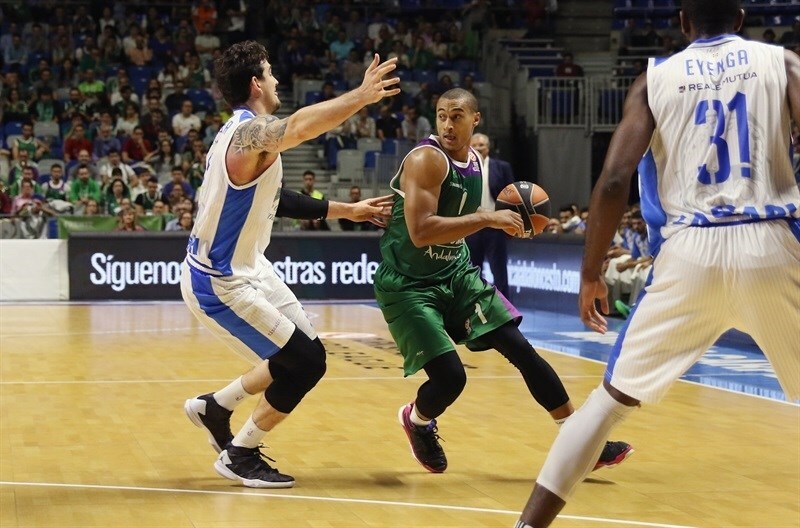 Hendrix kept pacing Unicaja with a layup and soon added a jump hook to make it a 21-point game, 69-48. Hendrix erased Alexander's big basket with a tip-in. Alexander answered from downtown, but Jackson buried a jumper off the dribble. Free throws by Stipcevic kept Sassari within 73-55. Thomas scored again, as both teams kept fighting. By the time Diez scored in penetration, everything was said and done. "We had the chance to go up to 4-0 and managed to make the most out of it. We knew we had to give 100%. We play for our life in every game - that's the way things are with me sitting on the bench. We are happy giving 100%; if we give 70%, any team can beat us. Sassari is the team with more possessions in the Euroleague and the one that needs the least time to shoot the ball. We don't have to relax. We must keep practicing hard to carry on winning. When we have the iniciative and good legs to play defense, we manage to do what we did in the third quarter. We are now going to Moscow to fight for the win. We will rest when we are mathematically qualified. In the meantime, we will give everything we have, in every game. We have set the bases to do something nice. We want to return to the Top 16 but must be self-demanding to get the best we can get. We have to be ambitious. Hendrix has a lot of room for improvement: he doesn't even know how much potential he has. If he is aware of the opportunity he has and makes the most out of it, he will be a difference-maker in Europe. What we did at halftime was put ourselves in front of the mirror, knowing that every time a team went up 4-0 in the regular season, it qualified to the Top 16. It was not a revolution at halftime. We couldn't let this opportunity go away, playing at home. We managed to start playing defense before our opponent got the ball. We did it and won the game. We know they are fast shooters that attack the basket, being almost anarchic sometimes. 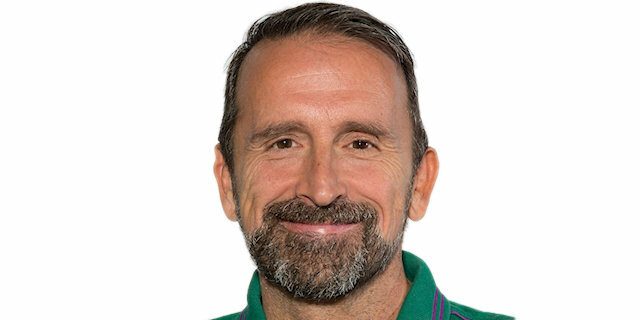 If you wait for your opponent to get the ball and don't take the initiative, you have no chance." "It was a tough, difficult game. We played good defense but our third quarter was terrible. They played inside tough, and put a lot of pressure on our point guard. Their fastbreaks, starting in the third quarter, broke the game open. 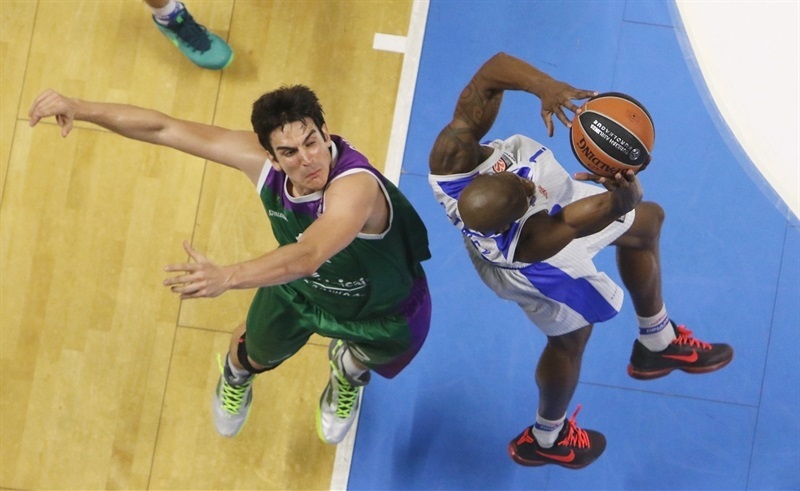 The third quarter was definitive for Unicaja." "It was not an easy game for us. They started playing well as they wanted to play: shooting three-pointers. From the third quarter on, we were better on defense. We stopped their drives and we were more ambitious. At halftime we said that we had a good opportunity to score the fourth win ahead of Moscow and we were prepared to go out and play with more intensity. From there, we helped each other and achieved the victory." "We came out a little flat in the first half and they were able to take control of the game. I think it was a little bit of motivation for us to pick it up and fortunately for us we came out with a win. It’s important for us to try to continue to achieve our goals. It’s good to have the win and be 4-0, but the job isn’t done yet. We have to continue to focus, continue to work hard, continue to develop more chemistry and try to work towards our goal at the end of the season. " "Except the third quarter, the rest of the game we played well. In the first half, we played how we wanted. We have scored with ease and we played good basketball. In the third quarter, they came out more aggressive on defense and gained the lead that in the end was decisive. Also in those 10 minutes, we didn't manage to get baskets and we only scored seven points. In the last quarter, it was already difficult. We tried but we couldn't get it done."